Are you keeping up with your Squad? Subscribe to the UAS Update, our e-newsletter, for announcements on new programs, community opportunities, and resources. UAS Summer 2019 is coming! ...open a pop-up bakery, publish a book, dive into the science of waves, explore bats (the flying kind!) in D.C., discover D.C.'s historical ruins, get hands-on with urban planning and design, walk through time at Tudor Place, and of course...run the Great UAS Pillow Fight! Why do you love your Squad? Register for our 2018-19 school-year programs! Click here for more info and to register. Smile! Your Amazon purchase can support your Squad. 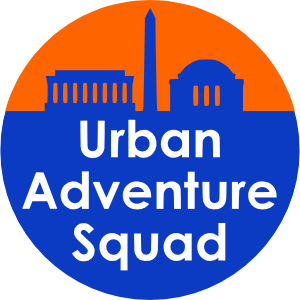 When you shop on Amazon using this direct Amazon link, Urban Learning and Teaching Center/Urban Adventure Squad receives .5 percent of your purchase. It adds up! So please bookmark the link or designate "Urban Learning and Teaching Center" as your charity. ​For program announcements and news about upcoming free community events, join our email list.